Nothing says interest, engagement and confidence quite like good eye contact. When we’re nervous, unsure or uncomfortable, it’s too easy to look elsewhere, but that is a bad habit that needs to be broken! 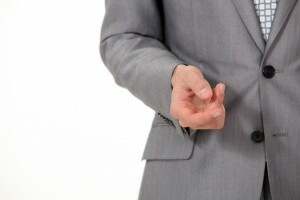 Who would you trust more; the employee who looks you in the eye or the employee who stares at his/her hands when talking? The way you say something is more important than what you actually say. As a professional, you never want to come off as bored, frustrated, immature or incompetent, but your tone of voice can give all of this away if you’re not careful. There is so much communicated through a smile! A smile is positive, warm and inviting; it makes people feel comfortable and more open with you. It also builds trust and bonds between people. With this in mind, it’s easy to see why smiling can help your career at every stage! Regardless if it’s your first day on the job or if you’re establishing yourself as a leader, nonverbal communication will play a huge role in your career. Stay cognizant of your eye contact, tone, facial expression and pose to make sure your messages are correct. Have additional insight? Please leave a comment; we want to hear from you! This entry was posted in Clients, Currently Employed and tagged body language, Career Advice, Nonverbal Communication, nonverbal communication in your career. Bookmark the permalink.